Easter may be over but wipe those tears because rosé chocolate is here and it will more than fill the cocoa-shaped hole left in your life. Two of life's greatest vices, chocolate and wine, coming together as one? This foodie news is music to our ears. We're all guilty of enjoying a Saturday night in, glugging back glasses of pink wine and chomping on too much chocolate, right? But what if I told you a product now exists that combines both of those guilty pleasures together as one? In a pairing almost as iconic as Kim Kardashian and Kanye West, rosé chocolate is here and it's everything we've ever wanted. Compartes Chocolatier is the inventive brand responsible for bringing us this dream food hybrid and it's no surprise it's already hugely popular. 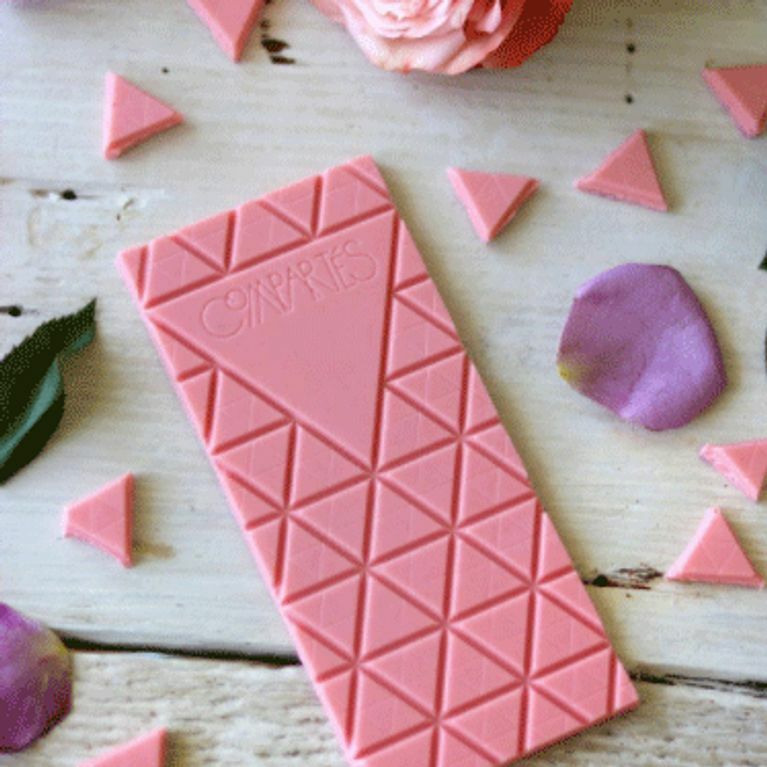 The white chocolate bars are infused with rosé wine and crystalised rose petals, and come in a candy pink shade that has an air of unicorn about. So simply pop a bar in your bag and whenever that craving for the pink stuff hits, you're covered. Yes it may be Barbie pink and not a lot, if any, of our favourite foods come in this pastel hue but don't for a minute let that put you off because this is a game changer. It's officially the coolest (and most socially acceptable) new way to rosé all day, darling. Will you be investing in this dream food hybrid? Let us know @soFeminineUK!